Happy holidays everyone! 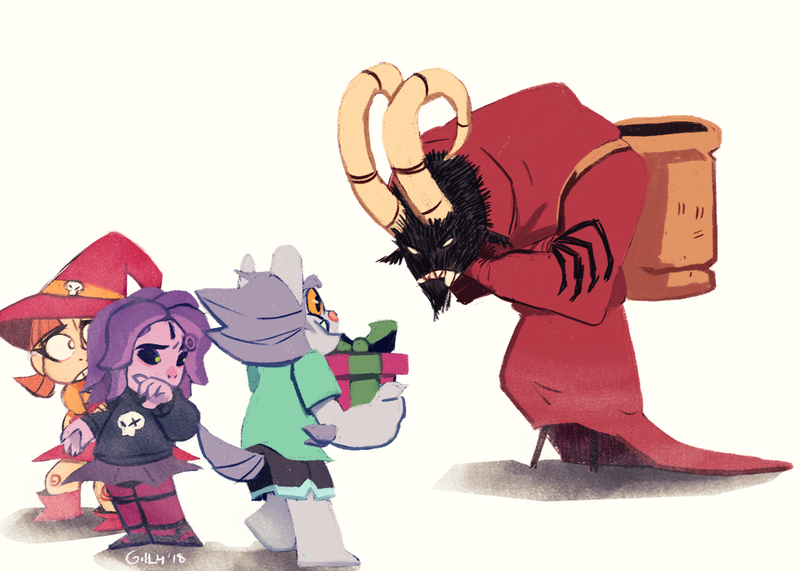 Here's a little holiday doodle! Also wanted to give a quick update on the next issue, we should be ready to release it sometime early next year, sorry no specific date yet. Will be back with another update soon though! We're also working on a special story for an anthology Spiderforest is doing, more news on that soon as well. Hope you all have a fun and happy holiday! Published on December 25, 2018 by Julian Dominguez.